Since I am going to start querying agents again soon, I decided to work on my author bio for submissions. Some agents require an author bio or resume to be included with a submission. I did a little search and discovered Rachelle Gardner's post on "How to Write a Terrific Author Bio" and decided to give it a try. 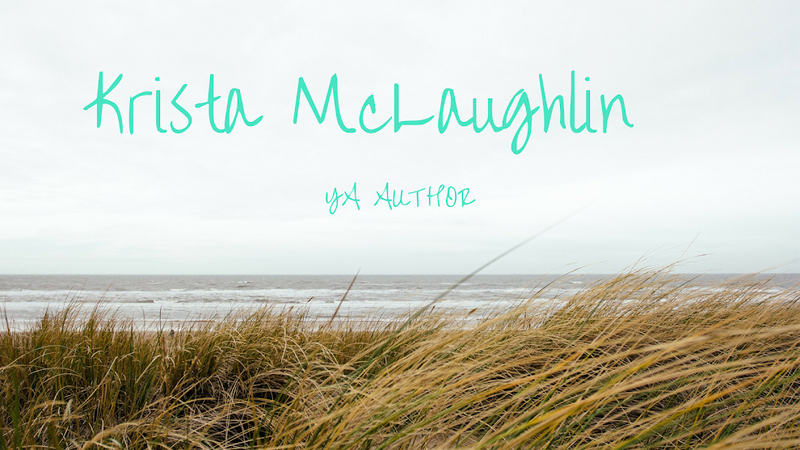 Krista McLaughlin graduated from Iowa State University with a Bachelor’s degree in Child, Adult, and Family Services, and a minor in English. She was born and raised in the Midwest with her nose stuck in a book and her hand smeared in pencil lead. When Krista is not serving copious amounts of coffee, she is writing, blogging, or cross-stitching. Krista writes young adult Christian fiction; stories that generally have a strong emotional subject and dabbles in fantasy. She currently resides in Iowa with her stuffed puppy, Porthos. Her full bibliography is available on her website: www.thejellybeansofwriting.blogspot.com. First off - glad you mentioned the captcha codes. Man those things are aggravating! Mine are off! Whoot-whoot! Also - I can't wait to check out Rachel's article for this. I need to work on mine. I think yours is GREAT! It's wonderful and I love the bit of humor at the end! Great work, and good luck querying! I like your bio. And I love the lady line. But in light of Laura's comment (isn't great to be able to connect with other cultures in the blogosphere.) Maybe it should be plush puppy? I love connecting with other cultures through blogs! Maybe I will change it to plush puppy. :) Thanks! Your bio is great! It shows your personality and states what you write. i promise i am human too =) hate the new improved? verification! I do have a job - that's the part about serving coffee to others, lol. :) Gotta have a day job to pay the bills. I turned verification off for my comments - whew! Yay for turning off the verification!